Helsinki in winter might seem like an absurd idea: Finland, like the whole of the North of the world, is subject to very low temperatures and in winter the hours of light are very few. That is why it is usually not recommended to organizing trips to Helsinki in winter and those who decide to be groped by the City Capital tend to consider it only for trips in the spring and summer. Unlike what is believed, in reality Helsinki in winter is a living capital, with many things to do and that does not stop despite the cold and snow. To be honest, visiting Helsinki in winter means savoring an authentic and un-touristy atmosphere, practicing the same activities practiced by Finns and experiencing the city to the fullest. 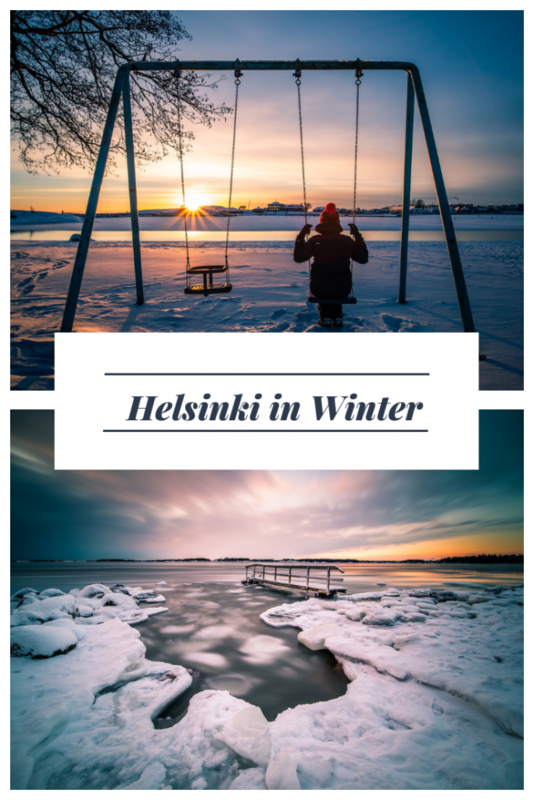 In this guide, we’ve collected some information in case you want to visit Helsinki during the cold season (some of them are good also for spring/summer). Helsinki, the capital of Finland, has for centuries been divided between Sweden and Russia until the declaration of independence of Finland in 1917 and the proclamation of the capital in 1918. Located a few hours from Tallinn, Stockholm and St. Petersburg, it is now considered a true crossroads between Europe and Russia. Even today, two official languages are spoken in Helsinki: Finnish and Swedish (this was obligatory until very recently), and everyone speaks a perfect English. Many understand and speak Russian as well. On a side note: Finland is not part of Scandinavia but is one of the so-called Nordic Countries or countries that include Denmark, Norway, Sweden, Finland, Iceland, Faroe Islands, Greenland and Åland Islands. Located very close to the Polar Circle and to the North of Europe and the World, Helsinki is cold in winter. The average temperature is -10°C but can easily reach -20°C and above, the snow is omnipresent and so is the wind: it is therefore essential to carefully plan a winter visit to the Finnish city in order to organize with the appropriate clothes. Personally, I think it is necessary not to dress heavy but to dress in layers using technical and warm clothing. 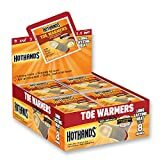 What I think it is very important are the shoes that should not only be warm but also anti-snow: a pair of women’s boots, with non-slip soles, are the perfect solution. For men, a pair of mountain shoes suitable for snow, high and with grip, are the first choice. Gloves are also necessary and they’ve to be extremely warm and waterproof: do not think that you just need the gloves you usually use because they may not be enough. 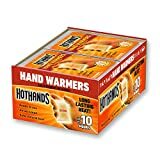 I use these that keep my hands warm and at the same time do not take up too much space; since gloves are an extremely subjective accessory, it is possible that they are not adequate to your level of cold suffering, and for this reason I suggest you choose them according to your needs. Eau Thermale Avene Skin Recovery Cream, Sterile Face Moisturizer for Sensitive Skin, Fragrance, Paraben, Oil, Soy, Gluten Free, 1.6 oz. The saunas are taken by assault: the most famous saunas in winter must be booked in advance. The Finns, great lovers of saunas, in winter become even more assiduous thanks to the custom (which I will tell you later) of a swim in the frozen sea after the heat. Do not wait until the last moment to book your sauna! If you visit Helsinki in winter hoping to see the Aurora Borealis, unfortunately the opportunities you will have to see it will always be very few, if not zero: the Aurora only faces certain situations and Helsinki usually does not respect them. Helsinki in winter is definitely magical, the light that transpires between the trees, the blanket of snow that covers the city, the falling flakes: a muffled atmosphere, very few tourists and the opportunity to enjoy the city and its vitality. Here are some of the most beautiful, traditional and unique things to do in Helsinki in winter. 5 million inhabitants, 3 million saunas: these are the almost official numbers that make Finland the country of sauna, and Helsinki is definitely not immune. There are both public saunas and private saunas. The most famous public saunas are Kotiharjun Sauna, Kulttuurisauna and Sauna Arla: in public saunas people typically are naked and therefore these are not mixed places, so women and men have access to different schedules/rooms. In private saunas, however, things can be different, they are mixed and you must wear your costume: Löyly Sauna, probably the most famous in Helsinki right now, it is located on the seafront and offers 2 different heated rooms overlooking the sea as well as a restaurant, lounge and terrace. The ideal place to practice ice-swimming in the winter or to jump into the frozen water after being in the sauna, to give a boost of energy to the body. To try, without ifs and buts. Another interesting place to practice the art of swimming below zero is Allas Sea Pool, the swimming pool with sea water, heated fresh water, sauna and city view. 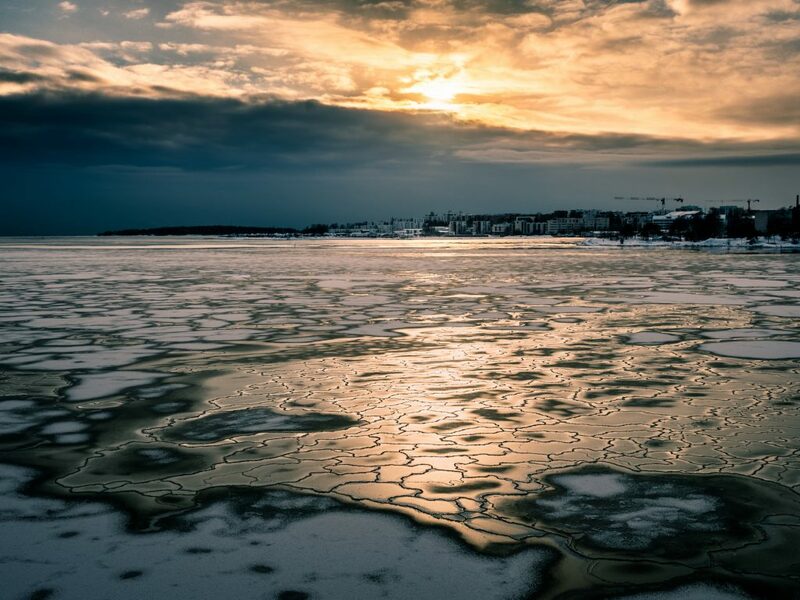 The sport that the residents of Helsinki love the most is to walk on frozen lakes or on the frozen sea. The dream of every inhabitant of Helsinki is to live as much as possible in the middle of nature and for this reason one of the great winter moments is just when sea and lakes freeze. On the water it is not only possible to walk but also to practice various activities such as skating, fishing and so on. The famous Café Regatta, located on the sea in an old wooden house and recommended by almost everyone, for me is not worth the wait and the hype: the location is certainly very nice but for what concerns the coffee, the place doesn’t live up to its expectations and so are its pastries. Not to mention, the fact that it is always congested and the relaxing experience that should be drinking a coffee, proves to be a nightmare of the worst. Remember that when you ask for a coffee, the barista automatically assumes it is filtered coffee (kahvi in Finnish) while for more specific requests it is necessary to be specific (espresso, cappuccino, flat, etc). 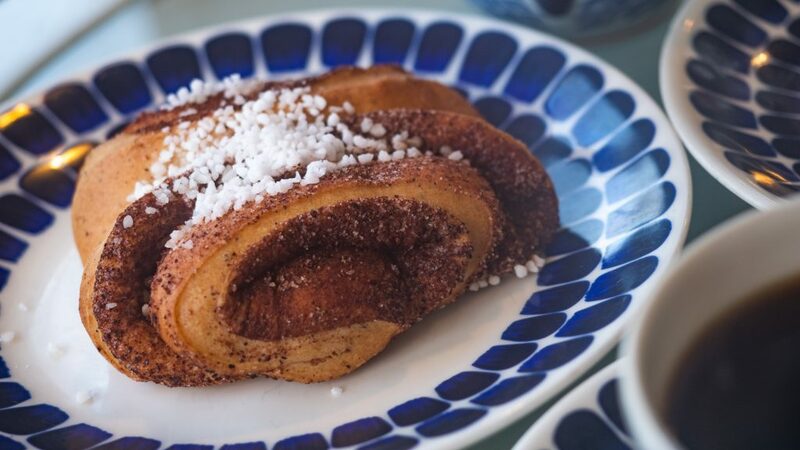 Coffee is almost always accompanied by the pulla, a dessert of your choice (a list of what to eat in Helsinki is here). 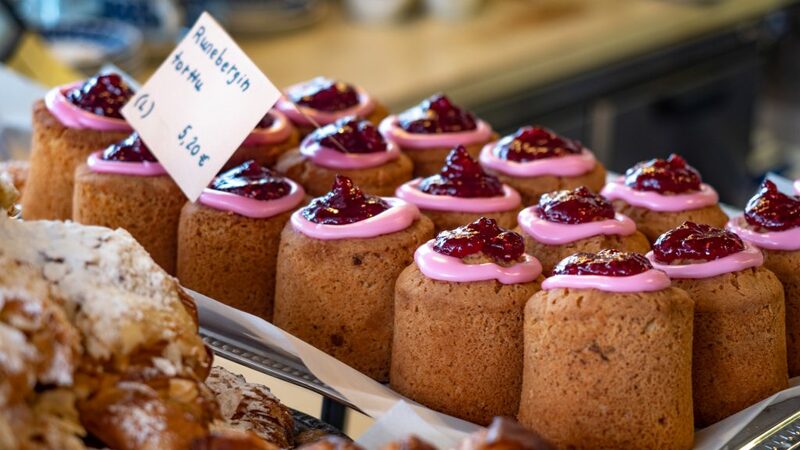 The timeframe after Christmas is perfect to sample the Runenberg Tarts and the Shrove Buns. Helsinki is surrounded by the sea on 3 sides, the seafront is about 130 km long and around the city there are 300 islands, some accesible and others not. In winter, ferries depart daily for the fortress of Suomenlinna, a UNESCO World Heritage Site inhabited by about 800 people and where it is possible to walk, stop to eat or drink and visit the museum. Do not miss the island of Uunisaari, reachable in winter through a wooden bridge: the red brick building that now houses a bar/restaurant was a paint factory. 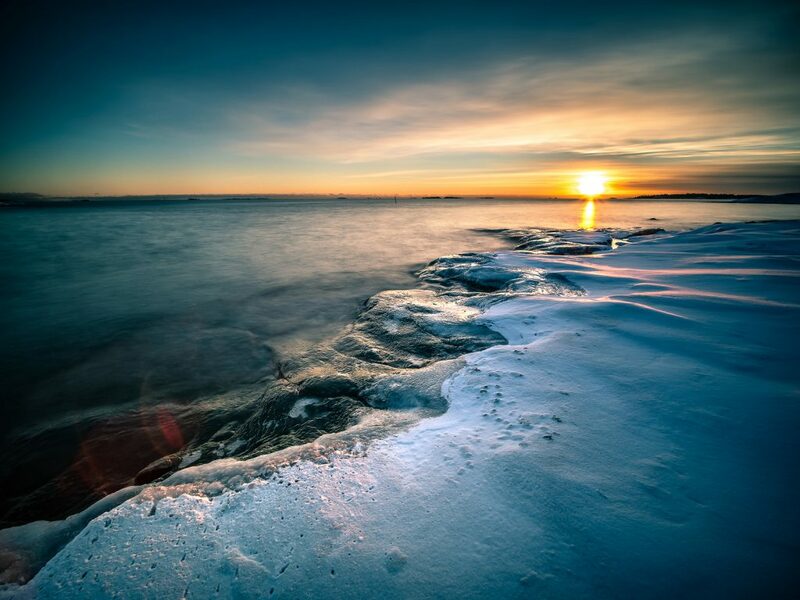 The winter landscape from Uunisaari, especially around sunset, is truly sensational; here you can also have a sauna in the morning from 7 to 10 am, with ice-swimming in the snow. Mustikkamaa is also reachable via a pedestrian bridge from Kalasatama. 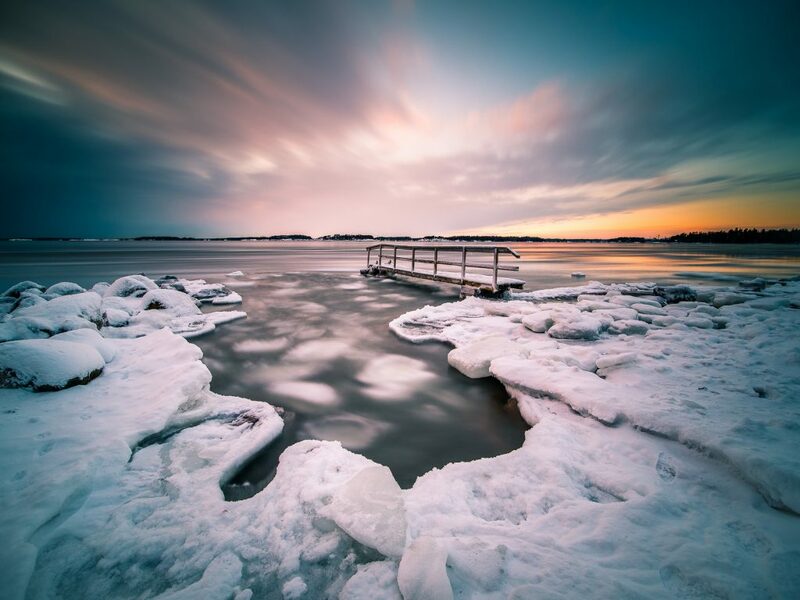 A special mention to Lauttasaari, an island connected to the mainland by a bridge that offers spectacular winter panoramas: the part that can be reached on foot is Vattuniemi, wild and sometimes difficult in winter, it is truly a unique experience. It is unlikely to happen in winter, but if the water level falls below 30 cm you can also reach Sisä-Hattu. Helsinki is famous for its modern architecture, especially inside buildings that are not so attractive from the outside. The opportunities are many and are all free. Today, Oodi Central Library, the new library built on the occasion of the centenary of the proclamation of Finnish Independence and Helsinki as the Capital of the Nation, is truly unmissable; it is not a library in the classical term of the term, but rather a multicultural space for young people, older people, families that includes books, audio-video rooms, video games rooms, cinemas, various cafes, co-working, a kindergarten and much more. 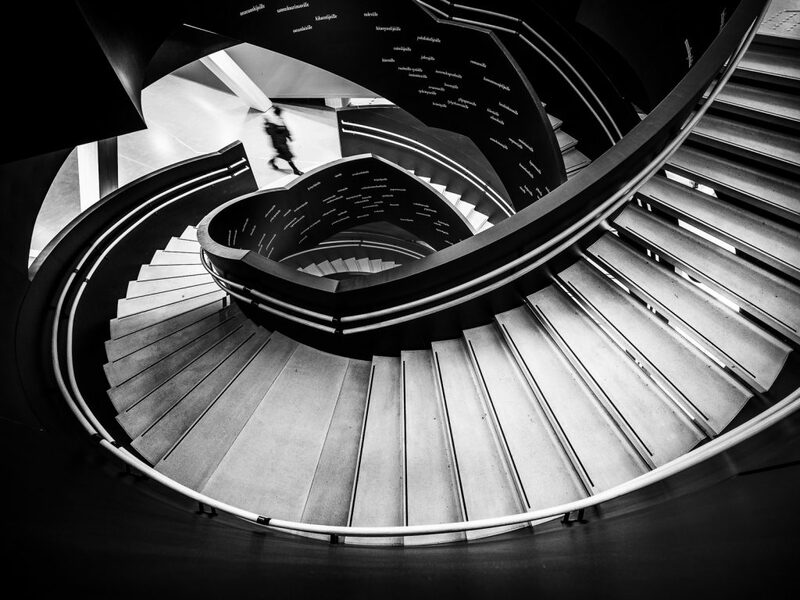 Other architectural spaces not to be missed are the Temppeliaukio Rock Church, the Kamppi Chapel (Chapel of Silence), the Museum of Contemporary Art Kiasma, the new Amos Rex with its contemporary art exhibitions, the National Library of Finland, the Kaisa Library and the Kallio Library. If you have enough time to spend and love museums, Helsinki offers you different possibilities. In addition to the most classic such as the National Museum of Finland or the Museum of Finnish Architecture, I would point out three interesting ones: Design Museum, Museum of Contemporary Art Kiasma and Cable Factory, to learn more about Finnish design and photography. Tallin is a 2-hour boat trip from Helsinki and is therefore the favorite destination for those who have a few days to spend in Helsinki and want to take the opportunity to jump over to the other side of the sea. The temperatures and the hours of light are the same as in Helsinki so it is good to calculate that as you start in the morning and come back in the evening it could be very cold: in a day in Tallinn you get a taste of the medieval center and its historic center, including the visit of Alexander Nevski Cathedral, Tallinn Town Wall, St. Olav’s Church, Raekoja Platz and St. Catherine’s Passage. Tallin, in winter, is extremely beautiful and magical, not to be missed. Located inside the Central Station, it offers large and spacious rooms, comfortable and quiet. Very central, it is functional both for those arriving late or early in the morning and for those looking for an international structure with high standards. View and book the hotel by clicking here. One of the newest hotels in Helsinki, famous for its rooftop bar where you can see the whole city and its swimming pool (small but functional) with windows looking at Helsinki. View and book the hotel by clicking here. Part of the Radisson chain, this hotel is known for both its rooms and its restaurant, the Plaza. Convenient for those who want to stay in the center and have the certainty of a quality accommodation. View and book the hotel by clicking here. For those who prefer the comfort of a home, Apartment Hotel Aallonkoti is the right choice. Very close to the station and convenient for getting around the center and beyond, it offers 1 or 2 bedroom apartments all with kitchen, bathroom also equipped with washing machine and a sauna that can be used free of charge. View and book the hotel by clicking here. 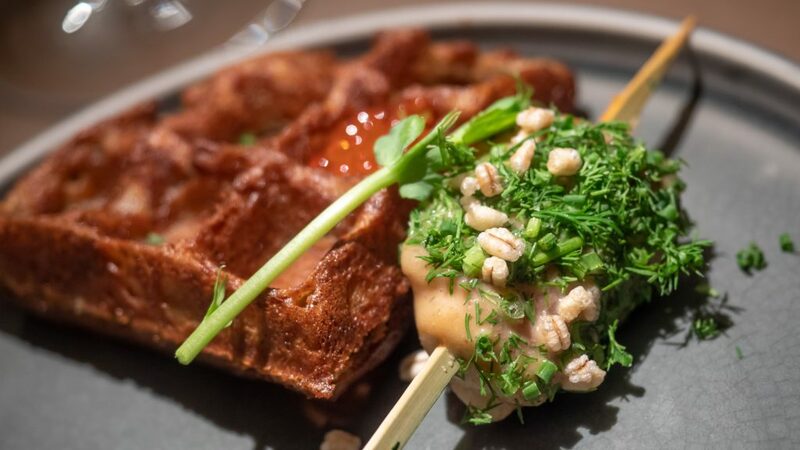 The choice of places to eat in Helsinki does not vary much between summer and winter, but with the cold season the possibilities to eat typical Finnish products in typical environments increase, enjoying all their goodness. 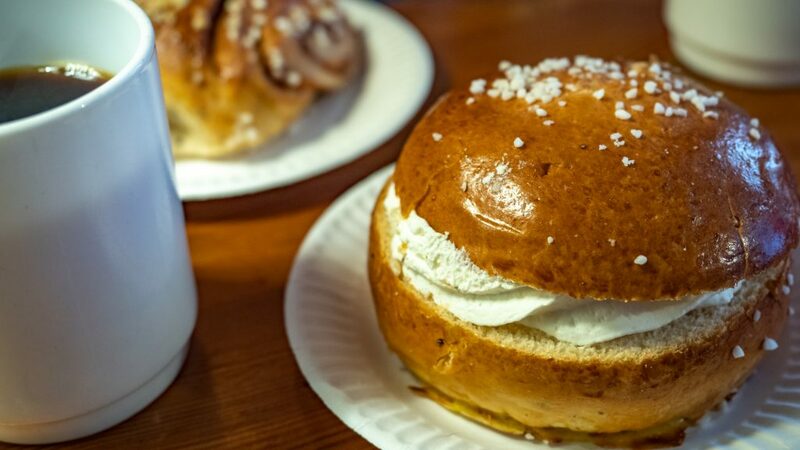 Helsinki is not a cheap city but it is possible to eat without spending too much. I recommend you some places that are worth trying and that are NOT necessarily cheap but that will make you come home happy. 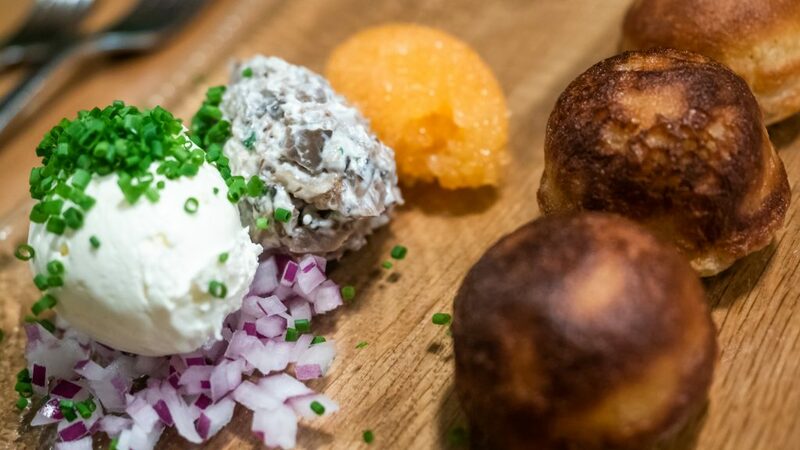 Seasonal and strictly Finnish products, studied and refined dishes. 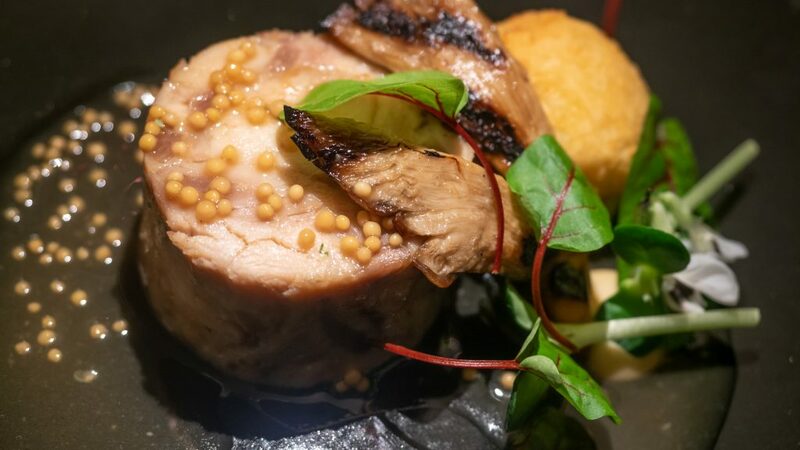 Not a too formal environment, high prices, 1 Michelin star. 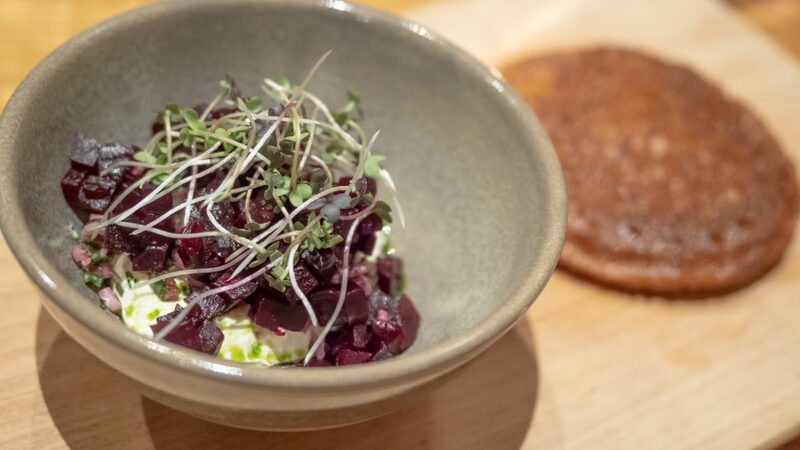 As the name suggests, Lappi serves food inspired by the flavors of Lapland. It became famous after being advised by Anthony Bourdain. Quite expensive, not formal. 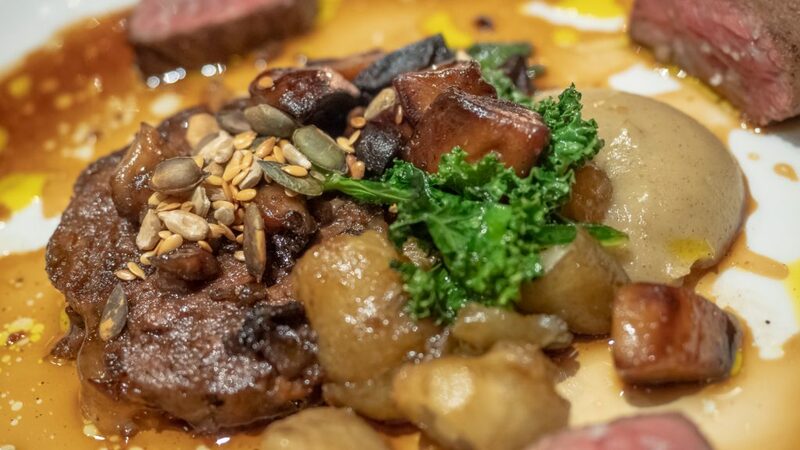 Hidden from traditional tourist routes, Nokka is truly a 100% local restaurant. 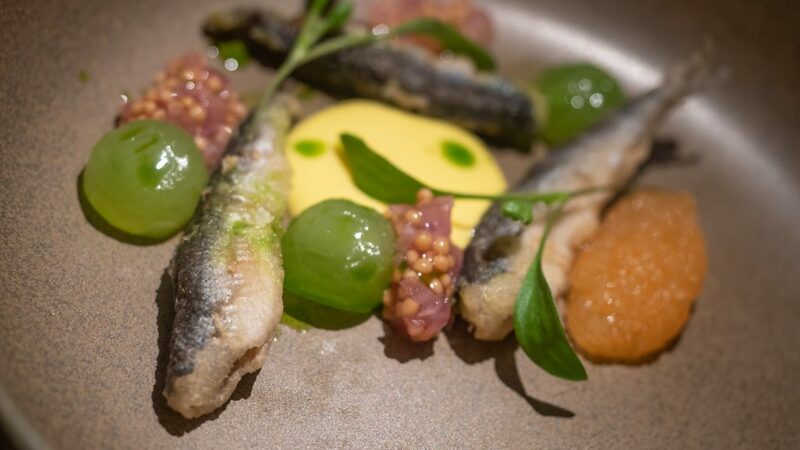 100% Finnish food and you can choose between a la carte menu or dinner. A slightly formal environment, medium-high prices. One of the most interesting places for a brunch on Sundays or for a dinner. 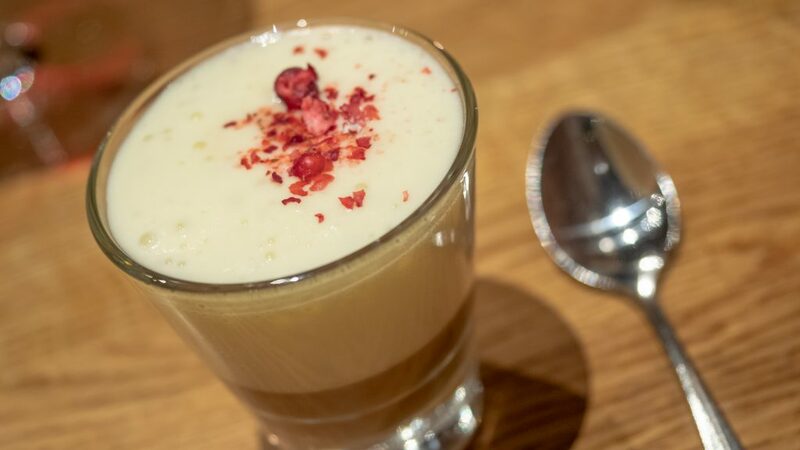 Inspired by the flavors of the Middle East, Sandro offers several spicy and not necessarily Finnish dishes. Informal, average prices. 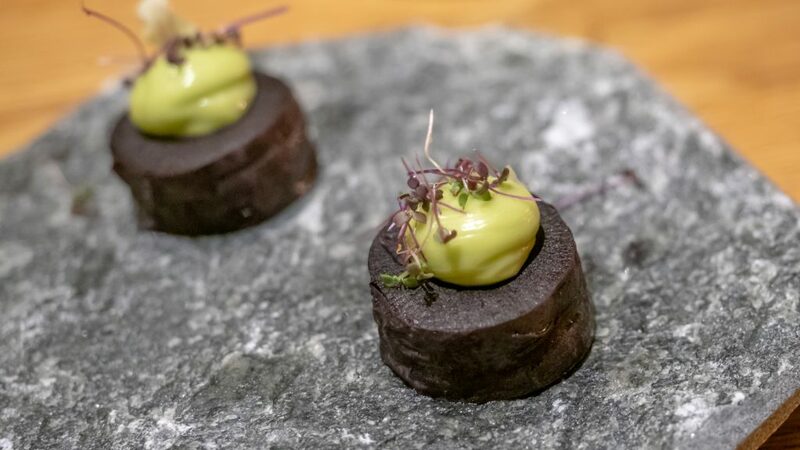 Experimentation to the maximum by Ultima, which aspires to a Michelin Star. Two types of menu, with or without wine, and Finnish dishes revisited with daring combinations on paper but in reality more than spot on. Not overly formal environment, high prices. If you have decided to visit Helsinki in the winter, you are missing the last useful information: how to get from the airport to the center of Helsinki. From Helsinki airport, you get to the center in several ways. The simplest is by taking a train marked I or P that arrives directly at the station in about 30 minutes; the ticket costs 5 euros (information updated to January 2019) for each route and single person and can be purchased at the machines directly at the station. If you prefer the bus, you can take 615 or Finnair City Bus, which always arrives (and leaves) from the station. Here all the timetables updated in real time both by train and bus to and from Helsinki airport. Have a great time in Helsinki in Winter: you won’t regret it!